Community Fuels is a proven advanced biofuel producer. We produce among the highest quality biomass-based diesel fuels available—our fuel qualifies as an Advanced Biofuel through the Environmental Protection Agency (EPA), and our own fuel standard closely mirrors the requirements of multiple major oil companies and exceeds the Federal fuel standard (ASTM Standard). 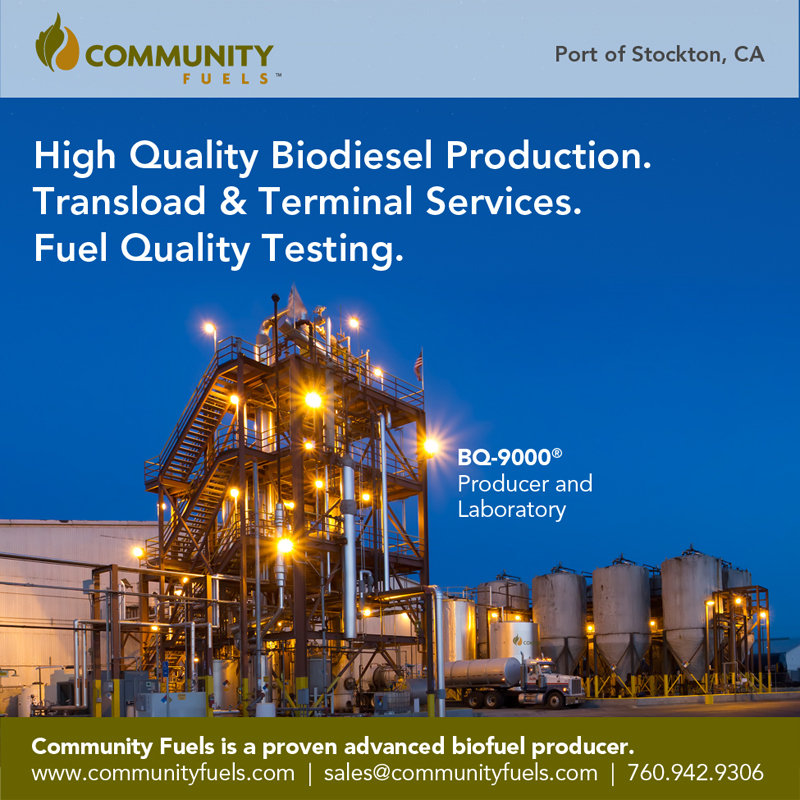 Community Fuels was the first in the nation to secure BQ 9000 Laboratory, Producer and Marketer certifications. Our bio-refinery, located at the Port of Stockton in California, has been in operation since 2008 and is one of the largest operating advanced bio-refineries in the Western U.S. We have demonstrated 100 percent capacity utilization at our facility. With direct access to two transcontinental railroads (UP and BNSF) and the Stockton deep-water shipping channel, our refinery is ideally situated for cost-effective distribution to major Western U.S. fuel markets and West Coast Ports that serve the Asian Pacific markets. We sell our fuel in bulk to the petroleum industry, which blends our fuel with petroleum diesel. Our fuel serves as a premium lubricity additive, reduces emissions relative to petroleum diesel and helps our customers meet a range of regulatory requirements. Our customers include major oil companies, petroleum refiners and some of the nation’s largest bulk fuel distributors. Glycerin, our co-product, is sold in bulk for use in a variety of industrial and agricultural applications.